The RingCentral app with Glip’s team chat and collaboration features provides a single, unified shared workspace. Using Glip, you and your team will chat, collaborate, and work faster and more effectively. 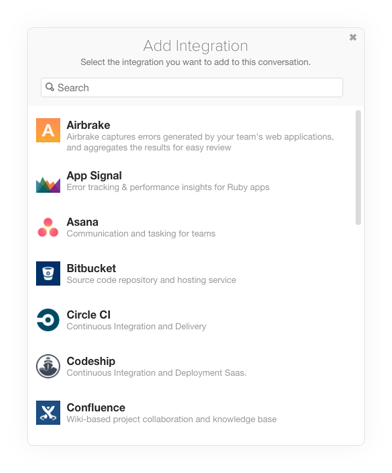 Use Glip’s free chat tool to collaborate with your team. Invite unlimited users, post unlimited messages, and chat in real time—all for free. Glip makes it easy to respond in an instant, stay updated on projects, and improve communication. Workers in the digital age can be overwhelmed easily by the variety of communications and collaboration resources available to them. Glip empowers your team to communicate, collaborate, and delivery projects faster and more effectively than ever before. 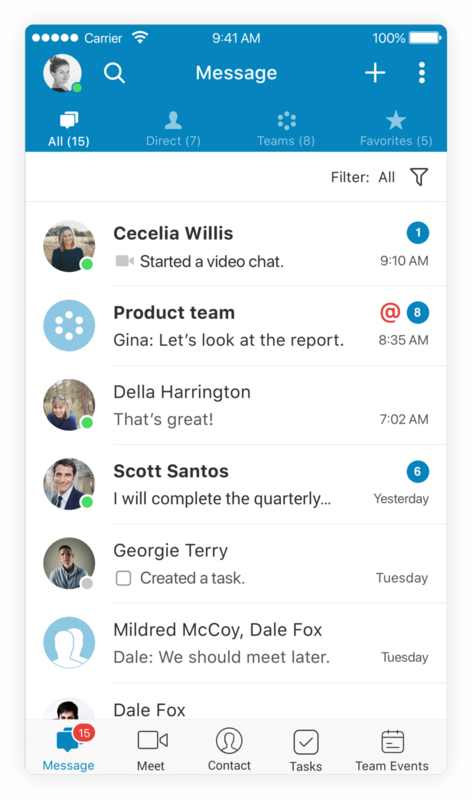 RingCentral Glip is part of a movement toward modern messaging that works as well on smartphones as on computers and gives coworkers an alternative to email for team communication and collaboration. The category has many names, including “team messaging,” “persistent team chat,” and “workstream collaboration.” RingCentral coined the term Collaborative Communications™ to describe its approach to making pervasive communication the foundation for more effective collaboration. Signing up for a Glip team chat account is the easiest way to get started. Other popular free chat apps for the workplace come with a catch—just as you learn to use them productively, your team starts to hit limits on how many messages you can post, how many messages you can search, how many files you can share, or how many people you can add. None of those limitations apply to Glip’s free team messaging. Use it for as long as you like, with as many people as you like, and as extensively as you like—all for no charge. 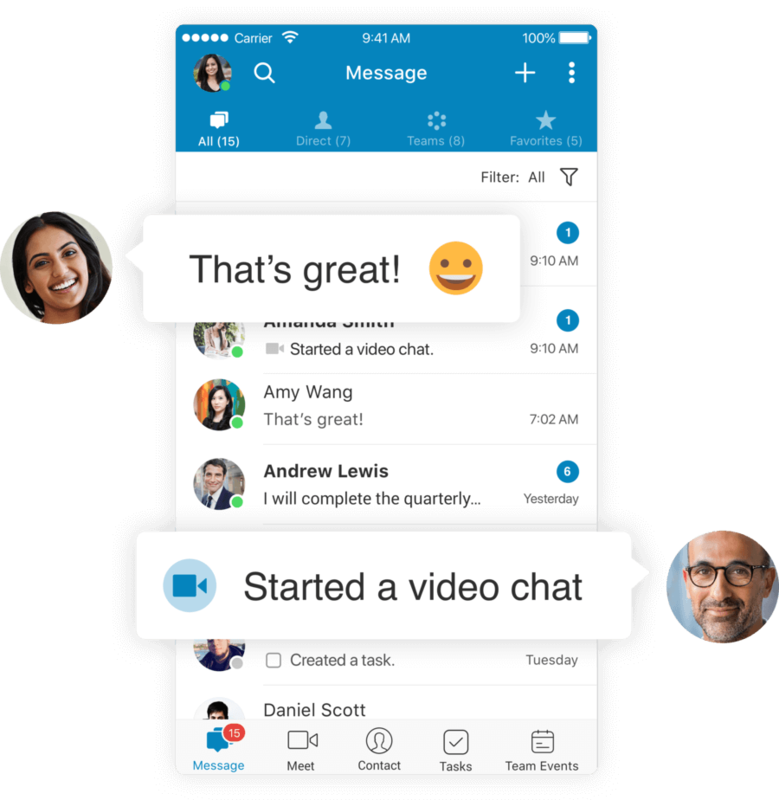 The one free trial in the mix is Glip video chat, based on RingCentral Meetings™. If you will be doing a lot of online meetings and screen sharing, you will want to upgrade from Glip Free to Glip Standard, or to RingCentral Meetings, or to RingCentral Office®, which adds internet business phone service. Some Glip administrative features also require a paid account. Even so, our free team chat accounts let you experience the full range of Glip’s core features, providing 500 shared video chat minutes to let you see how convenient it can be to launch a video meeting directly from a Glip team chat. Click the camera icon from within any team conversation, and all team members will be invited to join the online meeting. Meanwhile, Glip team messaging also means less email clutter. Efficiently collaborate with your teams using real-time messaging and shared calendars centered specifically around the business purpose of that conversation. Eliminate time wasted detangling long email threads. 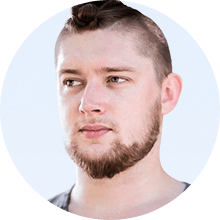 The desire to escape email overload is a common story for products in this category, but there are other reasons people like Glip. Read on to learn about the key distinctions and why they matter. Glip team chat allows your colleagues to structure ongoing communications and collaboration around specific projects and business processes. Invite all the coworkers and guest collaborators who belong in the conversation. Add more as needed. Join conversations that are relevant to your work and leave ones that aren’t. Even when you are invited into a conversation already in progress, you can catch up on what has already been said and see any relevant files and links that have been shared along the way. That’s much different from the confusion that follows being invited into the middle of a reply-all email thread. While teams have used instant messaging tools for years for quick communication, modern team chat apps, like the RingCentral app, advance the state of the art. 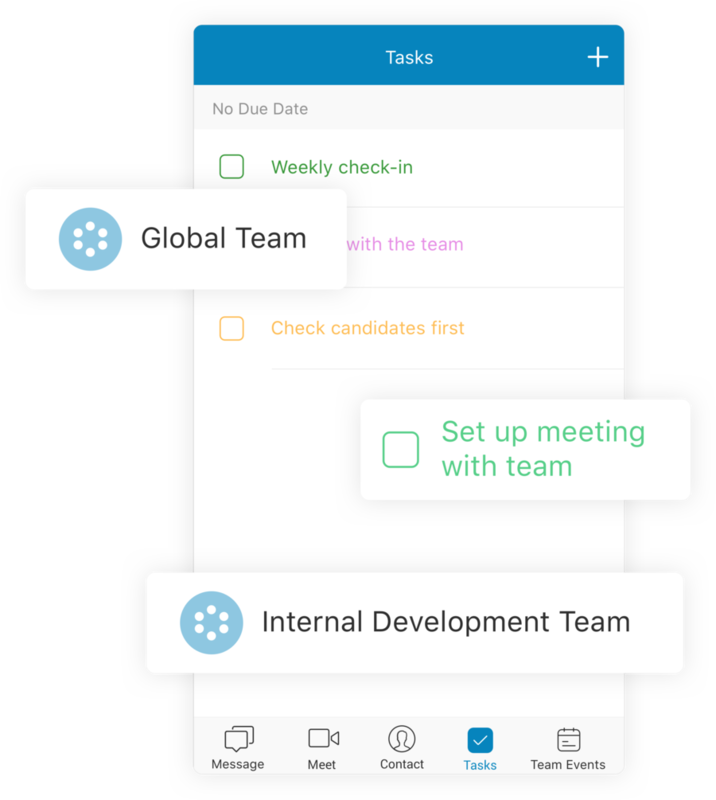 In the app, routine tasks can be tracked in persistent team messaging conversations, and dedicated teams can be formed quickly to address specific challenges. Messages can be addressed to the whole team or with @mentions to get the attention of specific team members who need to be alerted to an issue. In addition, Glip messages can double as task assignments, making it clear who is responsible for completing any given task. Like other messages, tasks can include files and image attachments. Although team chat is important, Glip is also more than that. Glip users have one-click access to online video meetings, file sharing, task management, and more. Keeping teams in sync is one of the great virtues of the RingCentral app as a communications and collaboration hub. That is particularly true when team members must perform many interdependent tasks. Glip has been applied to everything from routine business communications like scheduling meetings and organizing agendas to coordinating the activities of sales teams, software developers, and operations centers overseeing logistics or IT services. Managing complexity requires teamwork, and Glip helps teams work faster and smarter, particularly when they must coordinate their activities with other specialized teams across an organization. Boosting the productivity of employees is the primary goal of most companies adopting team messaging and collaboration, but engaging the extended team—contractors, consultants, business partners, advisors, and key customers—can be just as important. 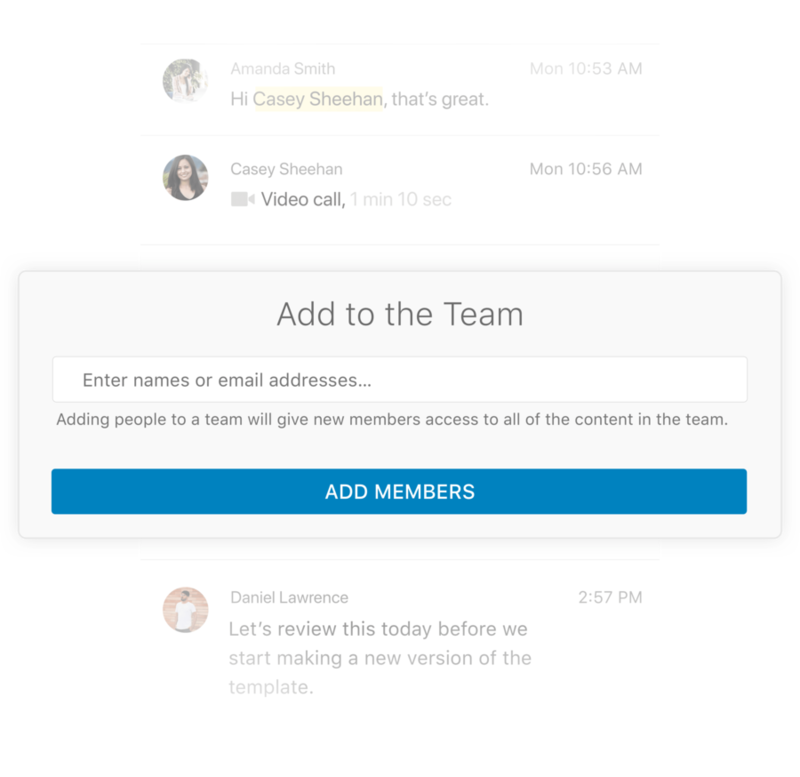 Glip team collaboration is not limited to employees; you can invite guest users into Glip as free team chat users. Guest users get access only to the team or teams you invite them into. For example, you might want to invite the members of a customer focus group into a Glip team chat where you share confidential details about your product plans and ask for their feedback. 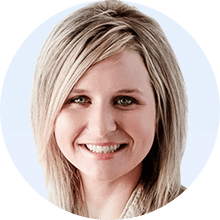 These customers would be full participants in the team conversation created for the focus group and can join Glip online meetings to discuss the work of the team, but they wouldn’t be able to go poking around in other areas of your business. business while still protecting its security. When you invite someone into Glip using an email address associated with your business domain, Glip treats them as a “coworker,” a full-fledged user. When you invite someone from any other domain, Glip prompts you to choose whether they should be classified as a coworker or as a guest user. One advantage of making them a guest user is that those accounts are free in all editions of Glip team chat. On the other hand, if you are inviting in a trusted consultant or a board member, you might want to grant them all the same access rights as an employee. Glip team chat lets you expand on the power of its built-in features by integrating other cloud software, including file sharing tools like Google Drive™, OneDrive, Box, and Dropbox™, as well as productivity, developer, and IT administration tools. 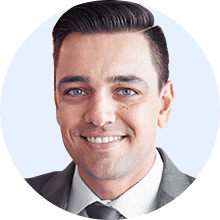 While Glip’s built-in file sharing and task management have the virtue of simplicity, many organizations have existing investments in other tools that may have additional features or simply have a loyal fan base within the organization. So, if you prefer to do your task and project management in Asana or Trello, you can do so and still have updates from those environments cross-posted to Glip. You can share a file by uploading it directly into Glip, or you can share files previously uploaded into Google Drive, Box, or Dropbox.